NATURAL HABITAT AND PREFERRED SITE: Hickory grows in moist acid soils of east Texas and other similar areas primarily in full sun. Several species of hickory prefer moist soil near the edges of swamps and streams. IDENTIFICATION INFORMATION: Hickory tends to be upright in growth with usually narrow crown, sometimes open branching with crooked branches. Some have a more rounded crown. There are about 8 species of hickory in Texas. It is very difficult to tell them apart. They have similar characteristics and hybridize freely between the species. FLOWERS AND FRUIT: Flowers are male and female on different plants (dioecious) from March to April. They are catkins. The fruit is a very hard nut that is not very tasty in most species. The nuts are generally round to pear shaped and often have a neck like base. BARK: Ranges from a very smooth texture to a very shaggy, coarse texture with age, especially on certain species. The color will be anywhere from brown to gray to almost black with irregular ridges and some species broken into deep fissures. 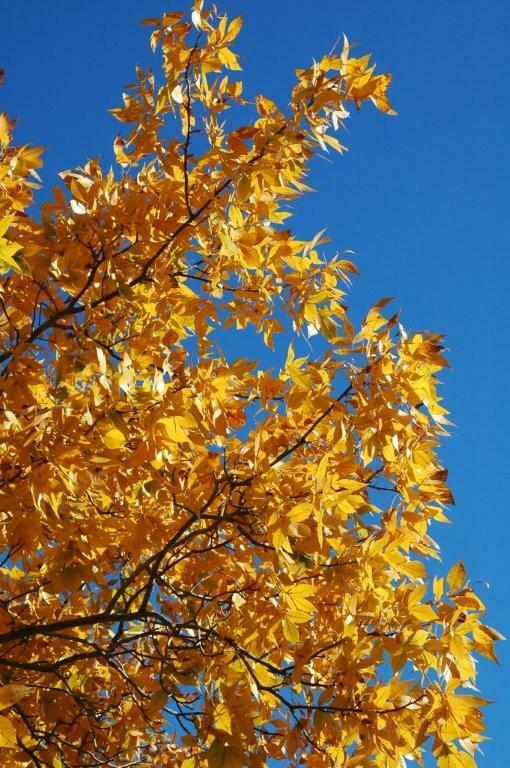 FOLIAGE: Compound leaves that are alternate, deciduous, with so-so yellow fall color. Leaves can range from 8 to 14 inches long. They usually 5 to 7 leaflets and the terminal leaflets are normally larger than those closer to the tree. Its foliage looks similar to that of pecan but its leaflets are bigger. CULTURE: Hickory is not an easy plant to transplant or grow. Sensitive to work around the root system, similar to the native post oak and blackjack oak. If they exist on a construction site, the trees should be physically fenced off to prevent compaction of the root system. PROBLEMS: Won’t grow well in alkaline soils, subject to root diseases, very sensitive to compaction and other disturbances due to construction or human activity. PROPAGATION: Hickory is grown from seed which should be planted immediately after collection in the fall. You never know for sure what you will get because they cross breed readily. INSIGHT: Beautiful trees but not easy to grow in a landscape situation. Carya glabra is the pignut hickory and likes well- drained higher soils. Carya texana is black hickory and likes dry granite rocky hillsides. Carya ovata is the shagbark hickory and has the sweetest nuts of all.